It's an obvious question if you hear a doctor diagnose one in a loved one: What is a heart murmur? It could reveal trouble ahead, but it's often harmless; an "innocent" murmur may even resolve itself. What is a heart murmur, and what causes it? 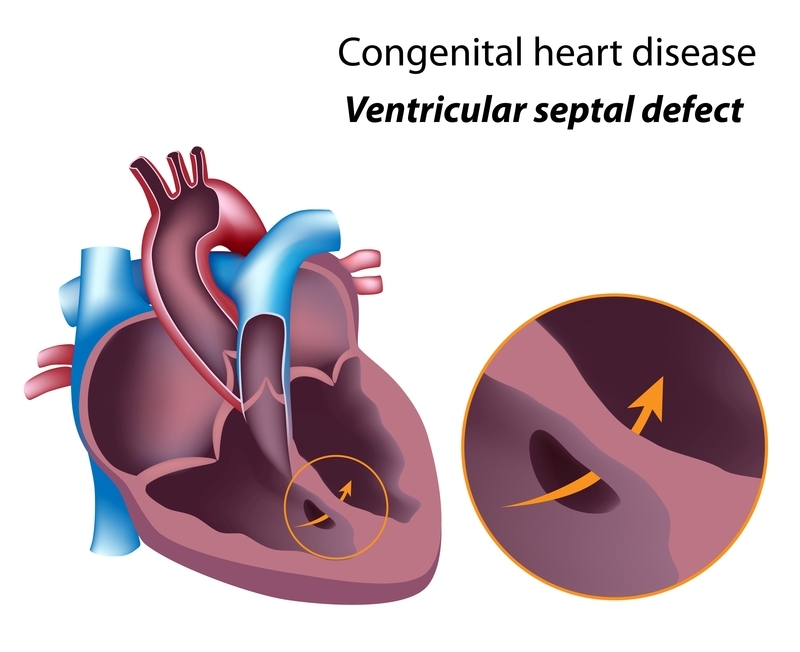 Some babies are born with small holes in the heart, called septal defects, that produce a heart murmur. Often, these holes spontaneously close over with age. You’ve no doubt heard the phrase “heart murmur” and automatically assumed the worst: a serious heart problem. But does it actually whisper something serious about our heart health? In some cases, yes. A heart murmur may be the first indication that there is something wrong with a valves or some other part of the heart’s structure. But exactly what is a heart murmur? When a doctor hears an unusual sound in between heartbeats, he or she will use the phrase heart murmur. It’s actually the sound of blood flowing in the heart, sometimes through a valve that doesn’t open or close properly. But there are other possible causes, too. What Is a Heart Murmur, and How Is It Diagnosed? Heart murmurs can be a sign, experts say, of underlying valve or structural heart disease. Examples of the condition include such congenital heart disease issues as a “hole in the heart,” or septal defects. Symptoms may present if a valve is showing an increased flow of blood that’s actually caused by other non-cardiac conditions, such as anemia or thyroid disease. Treatment, if any is necessary, will depend on the cause of the murmur, as well as its location and size. Heart murmurs are usually detected when the doctor listens to the heart with a stethoscope. If you suspect there is something not right about your heart rate, bring it to your doctor’s attention. If your doctor hears a murmur, he will look for other examination findings to establish a likely cause. Typically, an echocardiogram—also known as a cardiac ultrasound—is administered to confirm the cause of the murmur and to check for underlying cardiac structural disease. If the murmur is caused by a structural issue, then your doctor needs to establish the severity of the disease. If it’s not severe but your doctor wants to monitor the heart murmur, he may call for a series of echocardiograms. The timing of subsequent echocardiograms will vary, depending on the severity of the condition, but typically it’s performed annually. An echocardiogram is an extremely useful test. It is not painful and does not involve radiation. The non-cardiac cause of a heart murmur is typically treated on its own merits. If anemia is the problem, for example, treating the anemia may help make the murmur go away. However, a murmur can reflect an underlying structural heart disease and should be further investigated with echocardiography to confirm the cause and what the intervention or follow-up should be. There are some cardiac conditions that cause murmurs and can be inherited; among them are bicuspid aortic valves (two-leaf aortic valves instead of the normal three-leaf valves) and hypertrophic obstructive cardiomyopathy. If other members of your family are known to have these conditions, your healthcare provider may advise you to undergo an echocardiography screening to determine whether or not you may have the same cardiac abnormalities. anemia, cardiomyopathy, children, congenital heart disease, echocardiogram, exercise, health, heart disease, heart health, heart murmur, heart problem, radiation, thyroid.